Responsible for managing day to day organization operations by directing and coordinating activities consistent with established goals, objectives, and policies. 2. Overseeing marketing and working to build strategic alliances with key individuals to strengthen company (i.e. customers, suppliers, future employees and other key groups). 3. Reviewing bid opportunities daily and deciding in consultation with General Manger which projects to pursue. 7. Acting in the capacity of Senior Project Manager by overseeing Project Management and the management of our construction projects to include assisting our Project Managers with any construction related issues (i.e. change orders, scheduling issues, subcontractor issues, etc.…). 8. Attending project meetings with owner and architect to ensure project are running smoothly. 9. Responsible for hiring staff as needed including Estimators, Project Managers, Superintendents, and office staff. 1. Ten (10) years minimum experience successfully managing a public works (Federal, State, Tribal) commercial general contracting firm. Private Sector work experience would be a plus but not required. 3. Knowledge of business and management principles involved in strategic planning, resource allocation, leadership techniques, production methods, coordination of people and resources, project management, estimating, accounting, human resources, administration, bidding & marketing. 4. Knowledge of materials, methods, and tools involved in the construction or repair of buildings, highways and roads. 5. 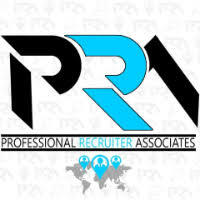 Knowledge of principles and procedures for personnel recruitment, selection, training, compensation and benefits, labor relations and negotiations. 6. Knowledge of relevant equipment, policies, procedures, and strategies to promote effective business operations, leadership, and management.